The latest trend in online marketing emphasizes content. Having written copy for hundreds of web pages, our goal has always been to achieve high rankings in search engines while structuring copy to answer visitors’ questions. Our copy guides visitors as they explore your site and prompts them to take action. Blogging presents short, informative posts on specific topics. Blogs encourage revisits to your site and position you as an expert. Videos provide a visual and auditory experience more memorable than copy. Also, video doesn’t require reading and is easy to share. Social media offers many options to inform and promote. Successful social media requires planning as well as consistency of message. White papers and articles allow for more depth. Usually, they’re paired with a sign-up mechanism so you can follow up with your visitor. Webinars combine the watch-ability of video with the depth of a white paper or several blog posts and can help brand your company. Testimonials and reviews have brought significant changes to online marketing. If your company is receiving favorable reviews, the chances your product or service will be chosen increase. Alternatively, bad reviews can kill interest. Managing both testimonials and reviews is crucial to marketing success. With so many choices for content marketing, it’s important to ensure everything works together to tell your story. While each approach differs, they should share a common message and be proactively managed. Tier Strategies can help you develop your content marketing campaign. First, we’ll seek to understand your resources and goals. Then we’ll create a strategic plan of attack. Monthly, we’ll monitor performance and make changes to improve your site. 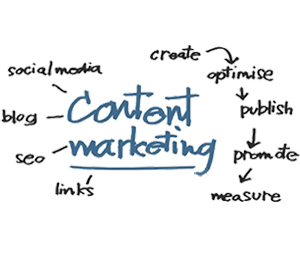 We can even write content for you. Call 615-251-0220 or email us to learn more.